I spent a wonderful week in Hoi An and finding the best local food on offer has to be one of my favourite activities while travelling. I certainly wasn't able to try everywhere and I don't claim to be a food expert. However, I did a lot of my own research as well as stumbled randomly across some of these fine gems while exploring. 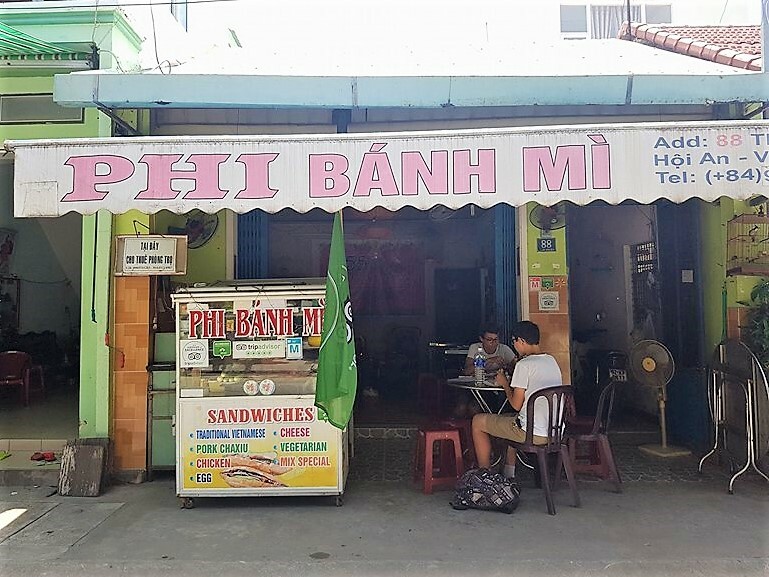 Pictured above, one of the best Banh Mi I've ever had was at French Bakery and Restaurant, located at An Bang Beach. 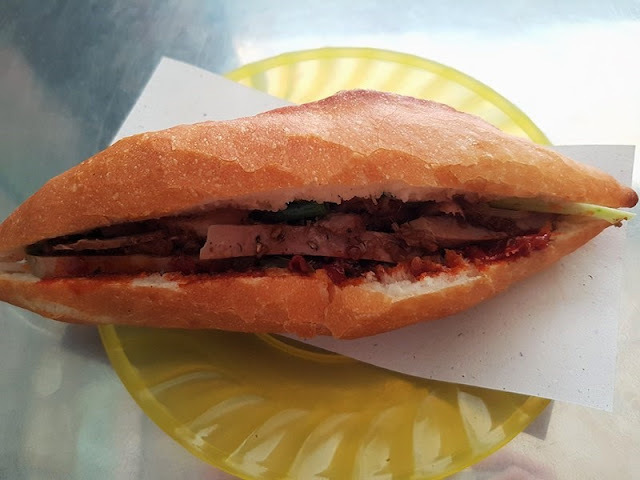 I had the special pork with chilli jam which was incredibly tasty! For only 40,000 VND ($1.70 US) it was also a great price for the location. 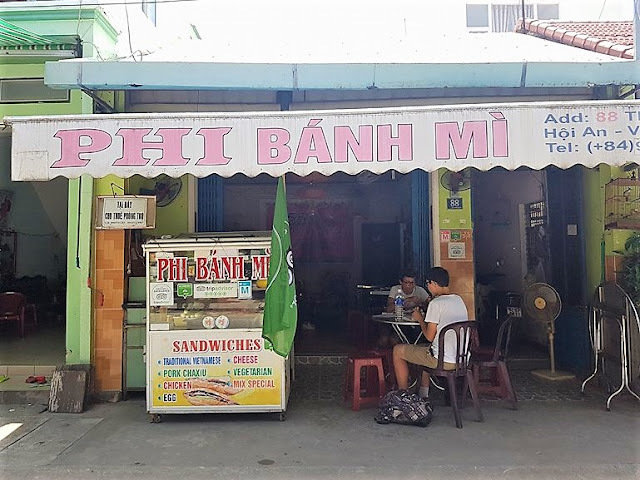 I also heard that Banh Mi Phuong is 'the best place for Banh Mi in Vietnam,' however the long lines every time I walked past kind of put me off! Also, some of their reviews said it was way too overhyped and touristy now. Feel free to wait in line and check it out yourself though if you're game! I tried this dish special to the region a few times and the best I had was at a hole-in-the-wall type of place called Com ga Ba Nga. 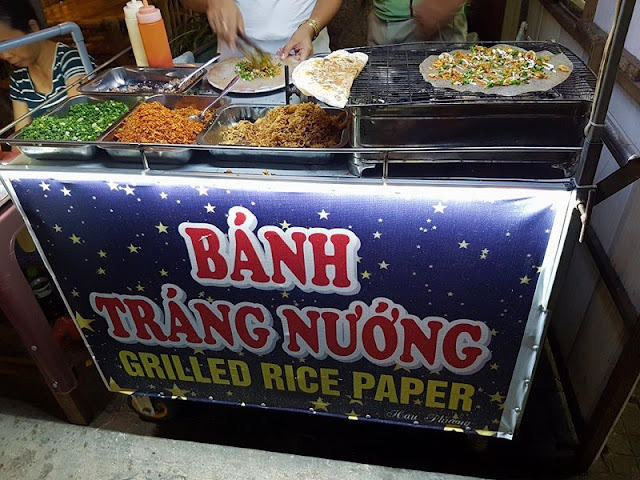 They also specialise in chicken rice, which is what the name means. I was walking past and noticed the place packed with locals and a big sign saying 'Cao Lau' which drew me in. The service was definitely not the best and the floor wasn't the cleanest but the food was exceptional. So the answer to where is the best place to get them - anywhere! Because they are all the same and come from the same place. My favourite restaurant in Hoi An was Morning Glory, where it was so good I ate there twice. It is very popular and busy in there, and that's because it has a great reputation and the food is always good. It is very reasonably priced too for what you get. On our final night, my husband and I's order was: three large beers, one large bottle of water, 1 shared entree, 2 mains and 1 shared dessert. All of that came to a whopping 519,000 VND ($22 US) - not bad at all! 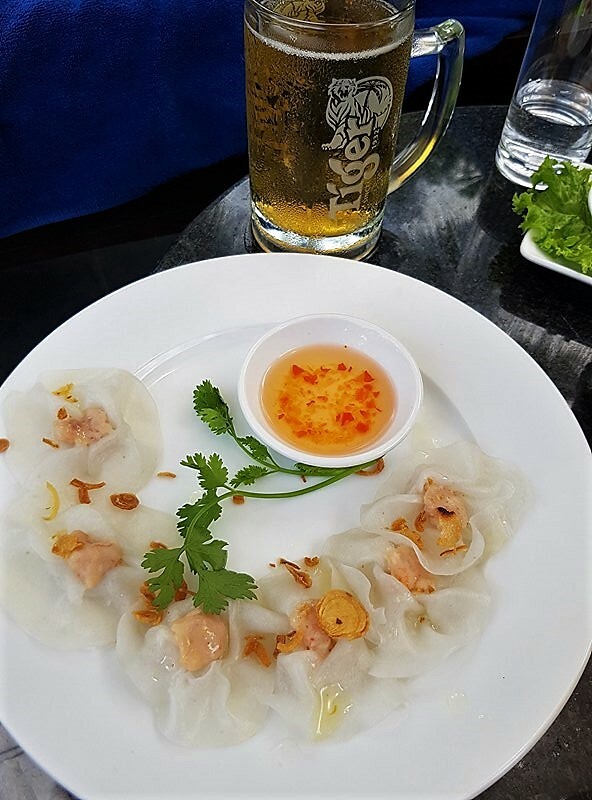 They made their own fresh beer which was only 3000 VND a glass! (US 0.13 c). All up our two mains, entree, water and beers came to only 189,000 VND ($8 US) - incredible! The service too was excellent. Best Sports Bar: If there is a game you just can't bear to miss, head to 3 Dragons Sports Bar & Restaurant. We watched an All Blacks game here and the atmosphere was amazing! There is also a really nice riverside view for even if you don't want to watch the telly. Best Party Bar: If you are a fan of Mr Bean (like me), then don't miss the Mr Bean Bar! Wildly and accurately themed, it's an amusing place to have a drink to say the least. 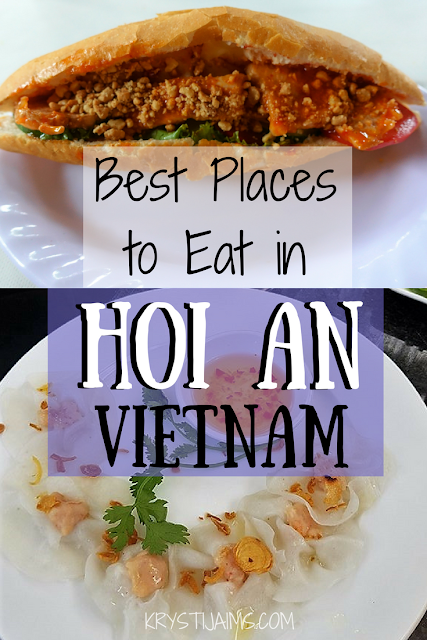 Let me know if you are heading to the lovely Hoi An yourself or if you have any other favourite places of your own to add - I'd love to check them out next time!